Today our entry comes to us from Ruben Munoz of Berrien Springs in SW Michigan. About the designer: I am a trilingual Southwest Michigan based designer, that is passionate about advertising, branding identities, and package design. I graduated from my university in May of 2013. 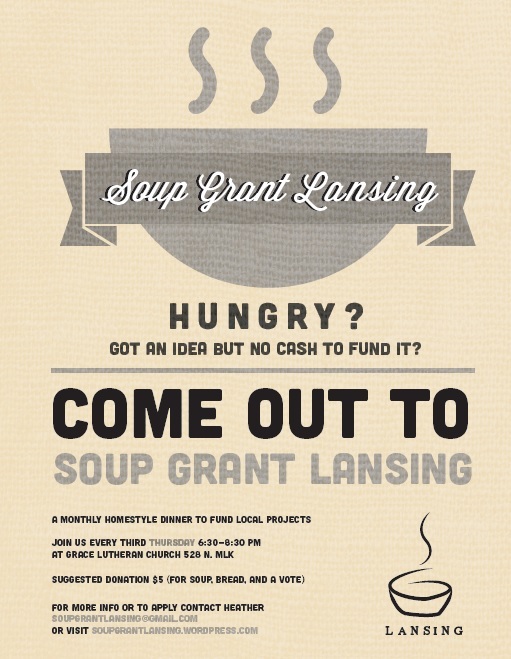 About the submission: For Soup Grant Lansing I wanted to create a logo that was very approachable, and homey to help with the feel of good, homemade soup. I took the “S” and “G” to form steam and the minimalistic, clean shape of a bowl. What a clean and appealing design!